Food and Drink : If you are in the food business then you know how much the design makes a difference. 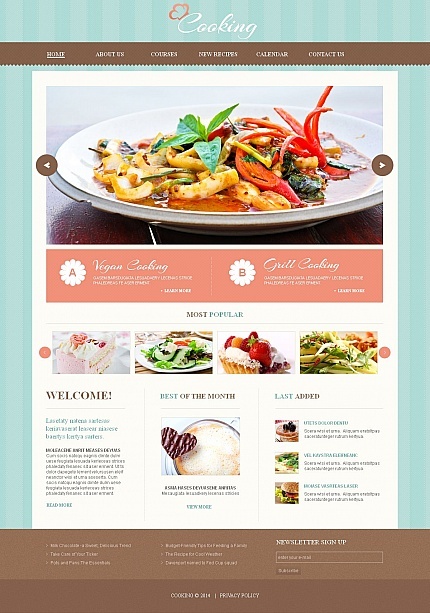 Template 49170 is a complete meal that features your menu! Attractive and affordable, the theme of this design is intended for a variety of businesses such as food service, hospitality, restaurant websites and more. Bonus with every purchase With each template purchase you get Free Web Design Elements: photos, fonts, icons, 3d models, sounds. Buy template 49170 from zeronese today and get access to the Free Clipart & Free Web Design Elements library.